Cats are generally known as animals that prefer not to travel. After all, who hasn’t heard the heartbroken, tortured wails emanating from cat carriers on the way to the vet or the horror stories of crates turned into urine- and feces-splattered hellholes? But the truth is there are some cats that tolerate, and even enjoy, a good road trip. If you’re a traveling soul and you want a feline companion, read on. The primary personality characteristic the travel-friendly breeds share is the ability to adjust well to new situations. 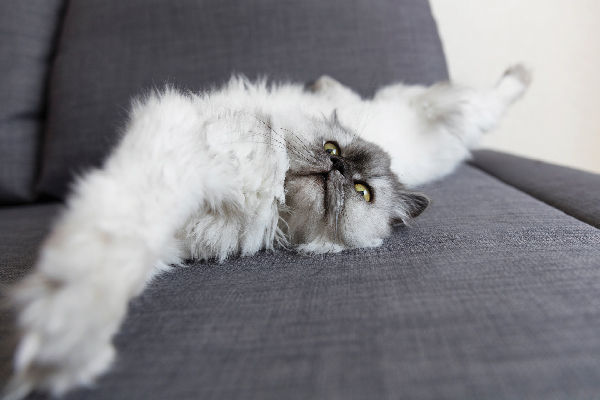 A cat that is generally confident and relaxed is much more likely to tolerate any change in its situation, whether that change is the addition of a family member or a long vacation trip. Cats that are more bonded with their people than with the place where they live are much more likely to enjoy traveling. If they have to travel a couple hundred (or a couple thousand) miles in their carrier, they don’t mind, as long as their people are nearby. The breeds listed below are known to be sociable and easy to train to walk on a leash. 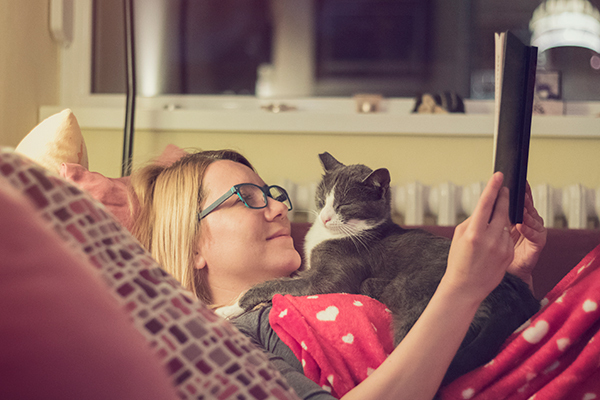 These characteristics obviously make traveling much more fun – for both you and your cat. Below are five breeds that are known to be good travel companions. 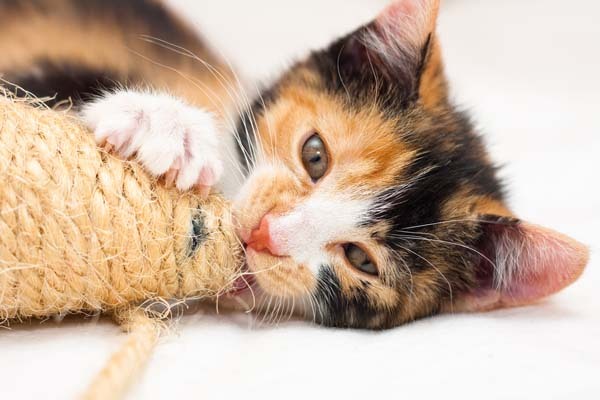 Of course, personalities and temperaments will vary somewhat within each breed, so be sure to talk to your breeder to ensure that your feline friend will be a good fit for your lifestyle. 1. The Chartreux, a medium-haired blue (gray)-coated cat, is widely known for tolerating travel very well. The Chartreux is known as a gentle giant: males weigh in at 10 to 14 pounds (females are smaller at 6 to 9 pounds). It is also an excellent mouser and gets along well with children and other pets. 2. The Chantilly/Tiffany makes a great traveling companion because of its calm and easygoing nature. You’ll need to take some time once a week or so to brush its coat thoroughly, but otherwise these cats are healthy, low-maintenance, and loving with their favorite people. 3. The confident, intelligent and energetic Japanese Bobtail adapts easily to new surroundings. Its ability to make itself at home with new people, pets and places makes it an ideal travel companion. It is a very healthy cat, and according to Japanese folklore it is a symbol of good luck – particularly if it has a “mi-ke” (calico) coat. 4. The Pixie-Bob may look like a little wildcat, but it develops strong bonds with its family and loves to travel in the car. Pixie-Bobs are also known to be easy to train to walk on a leash and to play fetch. These engaging personality characteristics lead some people to describe it as a cross between a cat and a dog. 5. The sweet-tempered and affectionate Scottish Fold is level-headed and adapts to new situations easily, making it an ideal travel companion. They also like cats, dogs, and children. Long-haired Folds will require regular brushing to keep their coats mat-free, and their ears will need to be cleaned twice a month due to the wax buildup that results from their flopped-down ears. See the complete breed profile here. When you’re on the road, your cat should always be secured in her carrier. Even an easygoing cat that is well-accustomed to travel can escape from your vehicle when you open the door or decide that it would be great to take a nap under your brake pedal. If your cat is loose and you have an accident, your cat will go flying and probably be grievously injured if not killed. Secure your cat’s carrier by threading the seat belt through the handle and pulling it tight. Be considerate of your cat and keep the music at a decent volume. Although you may want to jam your way across the country with Lady Gaga blaring from the stereo, your cat, with her extremely sensitive hearing, will not appreciate this. If you’re traveling by plane, fly with an airline that lets you take your cat in the cabin. Be sure to get written confirmation that you have made a reservation for you and your cat and that the airline does allow for this. Even if the airline does allow cats in the cabin, your cat won’t be able to fly with you unless she’s in a regulation hard-shell carrier that fits under the seat. Finally, be sure to bring portable litter pans and her favorite litter, as well as your cat’s food and water from your home. 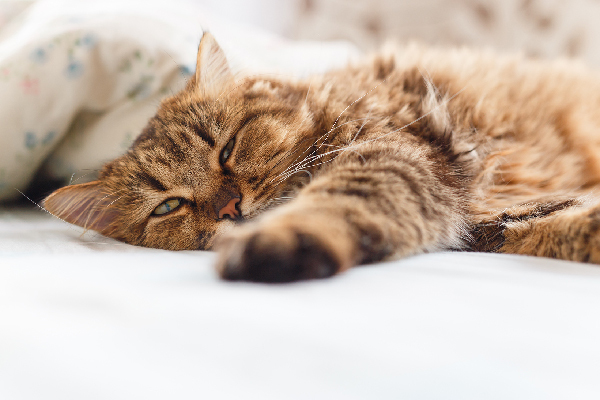 Changes in the chemical nature and other properties of water from region to region can cause digestive upsets, and your cat’s preferred food may not be available everywhere.